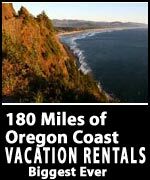 (Lincoln City, Oregon) – One central Oregon coast town really starts to light up for the holidays on November 25 and 26. That weekend is the official yuletide season kickoff event for Lincoln City: the fifth annual Tree Lighting Party & Santa Sale at the Lincoln City Cultural Center. It is two days of free family fun during Thanksgiving Weekend – and it's free. This festival of frivolity will begin with with an ornament workshop, live music, a visit from Santa, yummy cakewalk and a vendor sale of handmade goods. The event will be open from noon to 7 pm on Friday, November 25, and from 10 am to 4 pm on Saturday, November 26. Admission and parking are free. The two-day event is a gift to the community from the Lincoln City Cultural Center, its staff and volunteers, along with generous sponsors from the local business community. The tree will be provided by Noble Creek Tree Farm, felled by Capt. Jim Kusz of the North Lincoln Fire & Rescue District, and transported by Lincoln City Towing. Once at the center, the 20-foot Noble Fir tree will be installed by local crews from Pacific Power and decorated by Chessman Gallery director Krista Eddy, with help from event manager Judy Hardy, information center volunteer Dawn Bredimus and a crew of LCCC volunteer elves. This year, the tree will be located on the northwest corner of the center property, near the auditorium. It will first be illuminated at sunset on the day after Thanksgiving and, weather willing, it will shine with holiday spirit every evening through the month of December. This year, the LCCC’s community holiday display is being “greened” with renewable energy by the Pacific Power Blue Sky program. The utility has pledged to acquire renewable energy certificates, equal to the amount of power required for the five-week lighting display. At noon, it's time to shop the Santa Sale vendors, the Chessman Gallery and the LCCC Members Gift Shop (inside the historic Delake School building at NE Sixth St. and Hwy. 101). From 2-5 pm, kids of all ages are invited to Krista Eddy’s famous Make-and-Take Ornament Workshop. Here, you can design and assemble your own cardboard Christmas snowflake ornament. Then, you can glue it together and adorn it with your choice of glitter sparkles. All ages are welcome, but kids under the age of eight should be accompanied by an adult. At 5 pm, Kenny’s IGA will provide cookies and hot chocolate, while talented Sweet Adelines offer their annual gift of Christmas carols. At around 5:15, around the tree on the northwest lawn, Mayor Don Williams will lead the crowd in the countdown (if the weather is too stormy, the countdown and singing will take place indoors, in Margaret’s Meeting Room). After the tree is illuminated and the crowd sings another carol, Santa Claus will arrive via fire engine, making his way to the center's auditorium state where he'll hear wishes and give away candy canes until 7 pm. The annual Tree Lighting Party Cake Walk, featuring tasty donated cookies, cupcakes and other baked goods, will begin at 6 pm in the dance studio. The Chessman Gallery will feature a show with artist Kate Saunders, who has created small houses made from fused glass and textural mixed media, representing people or groups of people. The (Not Quite 11th Hour) Santa Sale, a tradition on the central Oregon coast launched more than a decade ago, features a show of 24 artists offering handmade gifts, from ornaments and rugs to jewelry and wearable art. You’ll find wreaths, nuts, knitted items and more, all through the auditorium and hallways. 541-921-4716. The LCCC Members Gift Shop, have have festive linens, ornaments, cards and other holiday gifts to place under your tree. You’ll find ceramics, table runners, photo cards, dolls, paintings and more. Purchase your gifts through this shop, and you’ll benefit both the local artisan and the Cultural Center. Face Painting by Julie Fiedler, offering the beautiful, artistic décor that will brighten your holiday. Julie has made her reputation at the Lincoln City Farmers Market, and will offer face painting for all ages, by donation. The Lincoln City Cultural Center is a non-profit center for community and creativity, inside the historic Delake School building, at the corner of NE Sixth St. and Hwy. 101. The center, which is also home to the official Lincoln City Visitor Information Center, is open from 10 am to 5 pm every day except Tuesday. For details, head to www.lincolncity-culturalcenter.org, or call 541-994-9994. 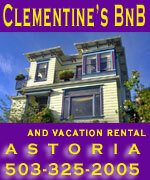 Oregon Coast Lodgings for this event - Where to eat - Map and Virtual Tour. More on LIncoln City below and at the Vritual Tour.